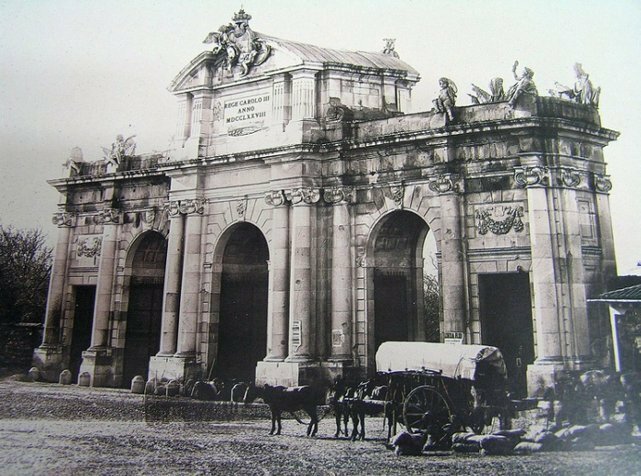 The Puerta de Alcala is one of the five ancient royal gates that gave access to the city of Madrid. This monument is one of the most representative of Madrid. The name of the Puerta de Alcala, like the street of the same name, comes from the street that went to Alcala from Henares (city located northwest of Madrid). This monument is singular because it was the first triumphal arch built in Europe (1778) after the fall of the Roman Empire. It preceeds the Arc de Triomphe in Paris and the Brandenburg Gate in Berlin.